Audi A4 Saloon Running Costs, MPG, Economy, Reliability, Safety | What Car? Executive saloons are popular with company car drivers, so CO2 emissions are just as important as list prices. The most fuel-efficient A4 (the 35 TDI 150 in SE trim) emits just 114g/km, which is slightly worse than the more powerful BMW 320d. Emissions do rise slightly if you opt for a version with larger wheels, but even the more powerful 2.0 TDI 190 in S line trim pumps out a relatively modest 120g/km. Although quattro four-wheel drive is a popular option, bear in mind that it has a big impact on emissions and economy. 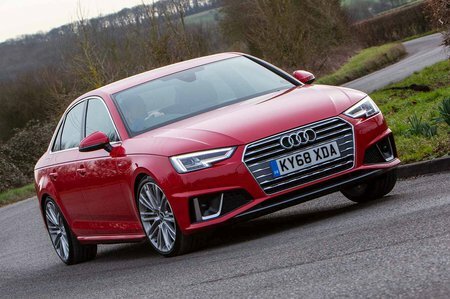 Indeed, the most efficient four-wheel-drive A4 is the 40 TDI in Sport trim, which emits 137g/km. With that in mind, we’d avoid it unless you live in a field or it regularly snows in your neck of the woods. 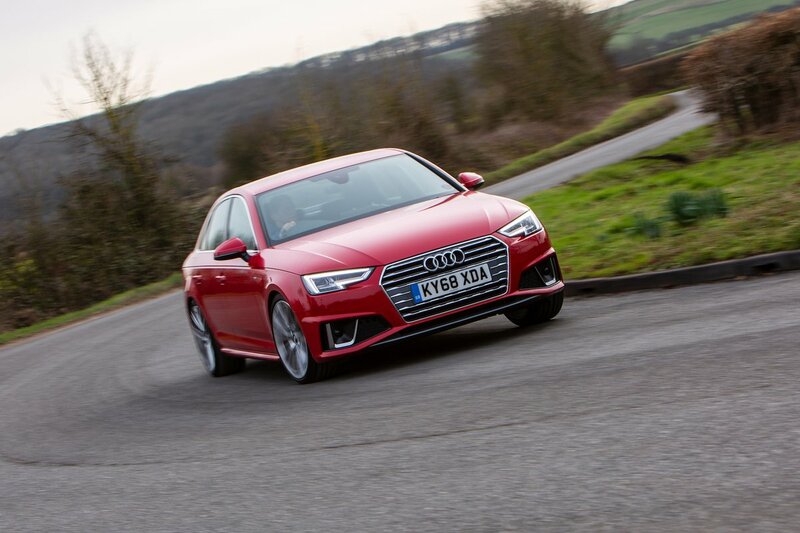 The A4 is predicted to hold on to its value well by executive saloon standards, and insurance premiums are reasonable. All A4s come with climate control, cruise control, front and rear parking sensors, keyless start, sat-nav and a DAB radio. However, we’d recommend spending a little more for Sport trim, which adds leather upholstery and a pair of more supportive sports front seats. S line and Black Edition trims add further sporty styling upgrades but not much in the way of additional equipment. With that in mind, we’d stick to Sport trim. 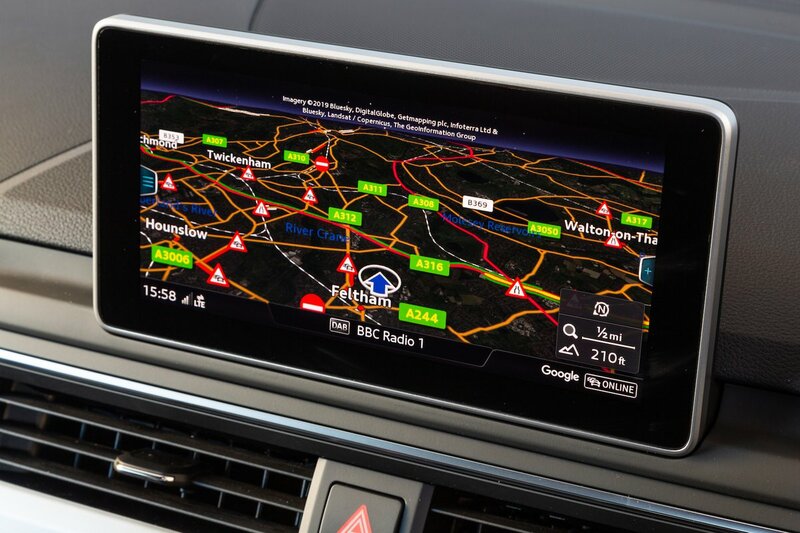 We’d recommend opting for the Technology Pack for its upgraded sat-nav, Virtual Cockpit and larger, 8.3in infotainment screen. The A4 came just below middle ranking in the most recent What Car? Reliability Survey, doing a fair bit worse than the BMW 3 Series but sitting well above the Mercedes-Benz C-Class. As a brand, Audi ranks in the lower half of the table for reliability, managing 20th out of 31 manufacturers. The A4 received five stars from Euro NCAP for its ability to protect occupants in an accident. Study the results in more detail, though, and you’ll see the Audi scored slightly lower marks than the Jaguar XE for protecting adults and pedestrians but did a better job of keeping children safe. All versions come with automatic emergency braking as standard to help prevent low-speed shunts, and the optional Driving Assistance Pack includes road sign recognition and lane-keeping assistance. The A4 comes with six airbags as standard. You can also choose to add rear side airbags, and we’d advise doing so if you plan to carry rear passengers on a regular basis. Thatcham awarded the A4 five stars (out of five) for resistance to theft and four stars for guarding against being broken into.